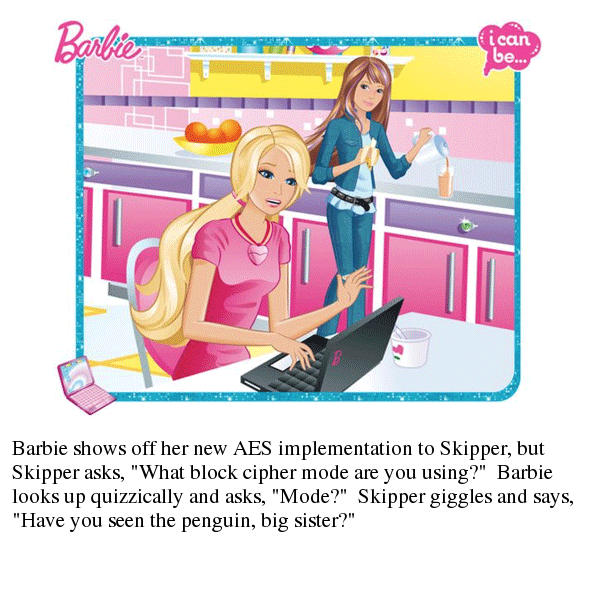 Barbie shows off her new AES implementation to Skipper, but Skipper asks, "What block cipher mode are you using?" Barbie looks up quizzically and asks, "Mode?" Skipper giggles and says, "Have you seen the penguin, big sister?"